If you’re savvy – and we suspect that you are – you may have wondered why the American Dental Association still endorses the use of mercury amalgam to fill teeth, even as other countries have banned it. You might question how the US could ratify the global mercury treaty known as the Minamata Convention, which calls for a phase-down of amalgam, yet still encourage its dentists to use the stuff. Maybe you’re outraged that your dental insurance company bases its coverage for white composite fillings on a mercury equivalent, ensuring the lowest common denominator for reimbursement. But what if you don’t have amalgams or dental insurance to deal with? 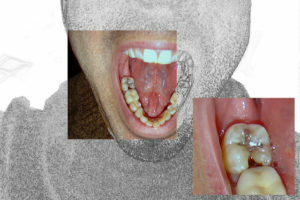 Dental mercury still affects you. For one, consider that the dental industry is responsible for about half of all mercury pollution each year – more than four tons annually into the water supply alone. (Even more contaminates our air and soil.) In a continuous loop of toxicity, this dental mercury can break down into methylmercury. This accumulates in fish and fish-eating animals, posing serious risks to humans who consume them, especially pregnant women and children. All “silver” fillings are mercury fillings. No matter what you’re told, at roughly 50%, mercury accounts for the largest portion of material in a “silver” filling. The rest is typically silver, tin, copper, and zinc. To call them “silver” is “deceptive,” argues Consumers for Dental Choice. Mercury is a neurotoxin. All forms of mercury affect the nervous system. Symptoms include irritability, fatigue, behavioral changes, decreased cognitive function, tremors, headaches, memory loss, neuromuscular changes, kidney and thyroid dysfunction, and death. For a comprehensive look at amalgam’s toxicity – to human and environmental health alike – check out this scientific report from the IAOMT. Mercury vapors don’t bond. Though many once believed that mercury became inert when amalgamated, we now know this is just not true. Newer technologies prove that amalgam fillings constantly off-gas mercury. That vapor is potentially the most dangerous aspect of elemental mercury. Once released, they are absorbed by your body and may even be converted to methylmercury. Mercury turns your mouth into a battery. When teeth are filled with different metals, your saliva acts as a conductor between the two and creates a galvanic reaction. It creates a battery in your mouth. This can cause pain, a persistent metallic taste, headaches, and skin irritation. In some cases, research has shown, it can affect immune levels or trigger trigeminal neuralgia. Mercury must be handled as toxic waste. Unless, that is, it’s in your mouth. Before and after removal, both the EPA and our State Department of Ecology have strict regulations for handling dental mercury. Even in its amalgamated form, these agencies consider your old fillings to be dangerous toxic waste.